Switch out your factory fog lights with Rough Country’s 2-inch Cree LED Fog Light Kit. Replace and upgrade your Ford Super Duty’s factory fog lights with a powerful and efficient LED alternative. These 2-inch LED cubes offer increased illumination and blend right in with the 2011-2016 Super Duty’s design. The combination of the LED and mount allows for a direct install into the factory fog light location. 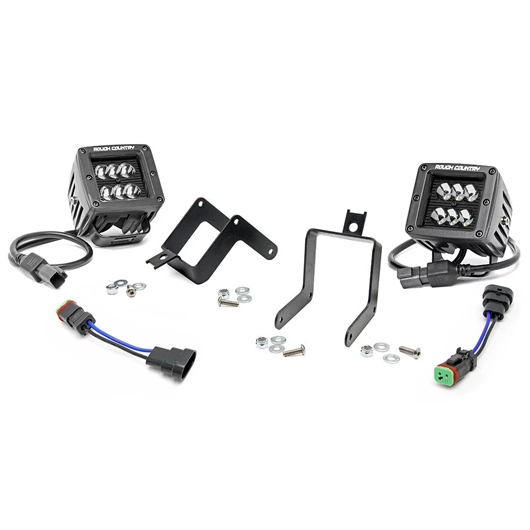 The kit includes a wiring harness that easily connects to the factory fog light wiring. Wicked Warnings offers the black out version of this kit. Perfectly compliment other black truck accents with the 2-inch Cree LED Fog Light Kit. 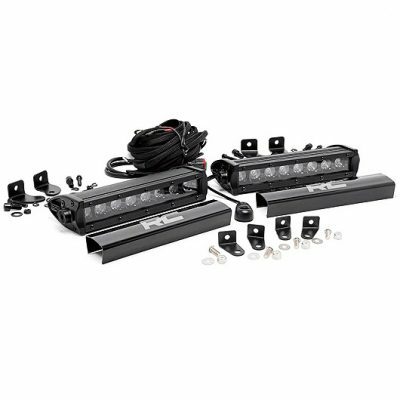 With 2880 lumens, 36 watts and a 30-degree spot beam, this LED Fog Light Kit has all of the lighting power you will need to light up the road ahead. Each light features 6 3-watt high intensity Cree LEDs. The LED fog lights are hosed in die-cast aluminum and have an IP67 waterproof rating for durable all-weather protection. 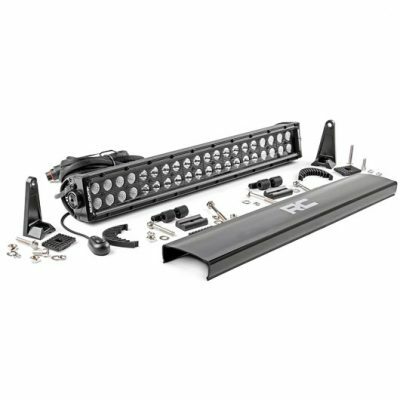 A 3-year manufacturer’s warranty is also included with the LED Fog Light Kit. These fog lights will only mount to the standard factory bumper. Please note that all Rough Country LED Products are shipped directly from the warehouse and shipping times may vary. If you have any questions about the 2″ Cree LED Fog Light Kit or product availability, please send us an email at info@wickedwarnings.com. Please note that all Rough Country LED products are shipped directly from the warehouse and shipping times may vary. 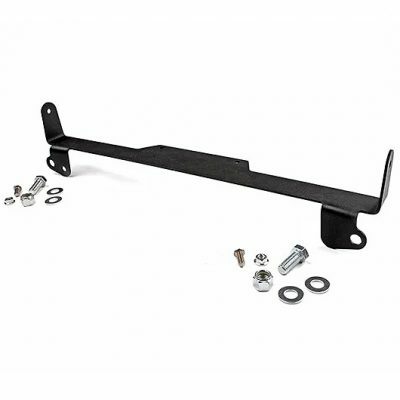 This kit can be used for 2011 – 2016 F-250 & F-350 Ford Super Duty Models.